few of our favorite tips, tricks, and treats. magenta coxcomb, for their colors while I chose blue thistle and safari sunset for their texture. I wanted all the pumpkins to look unique, but cohesive. This is why I chose to paint them all in a black or white matte paint with black or white accessories. These are all do-it-yourself projects and can enjoyable be done by the whole family. 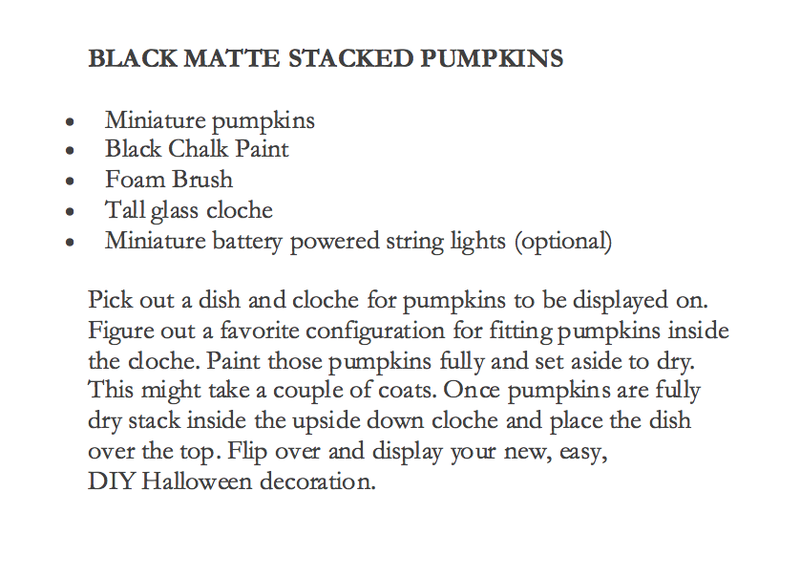 Also, these were done with craft pumpkins, but can be done with fresh pumpkins once they are back in season. See below for instructions on how to "DIY" these yourself! Stay tuned next week for the "spooktacular" recipes!